Raptor Rescue was founded in 1978 by a group of falconers in the North West of England concerned that there was no recognised specialist organisation able to treat the large number of sick or injured Birds of Prey that came into care. Since inauguration, Raptor Rescue has evolved into the UK’s foremost organisation dedicated to ensuring all sick and injured Birds of Prey are cared for by suitably qualified people and wherever possible released back into the wild. In the intervening years Raptor Rescue has moved from being a group of concerned individuals to become a Registered Charity, number 283733, with a board of Trustees responsible for control and management. 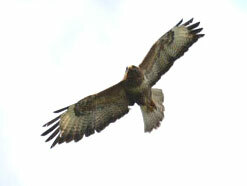 Since it was set up Raptor Rescue has continued to grow steadily and has been instrumental in caring for and rehabilitating many thousands of Birds of Prey by establishing a national network of rehabilitators and experienced carers to undertake the demanding task of treating the birds that come into care each year.